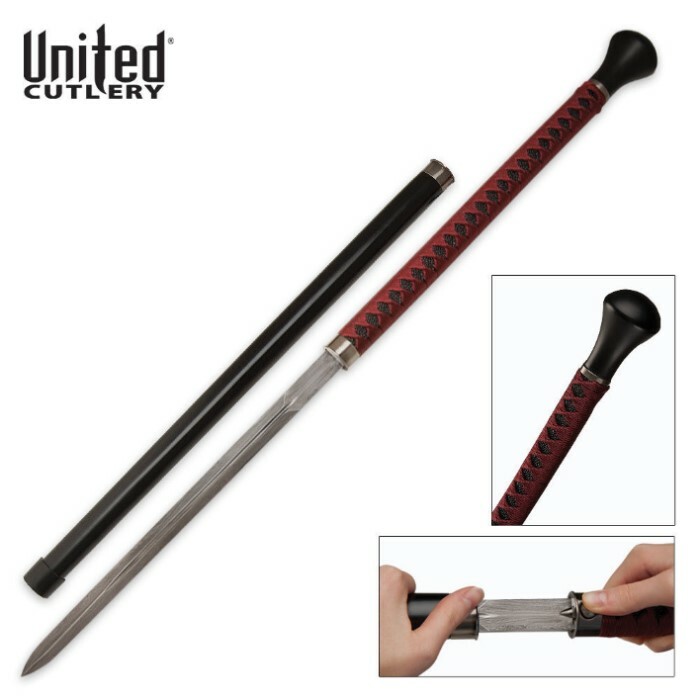 United Cutlery Forged Ball Sword Cane Black Red Damascus | BUDK.com - Knives & Swords At The Lowest Prices! 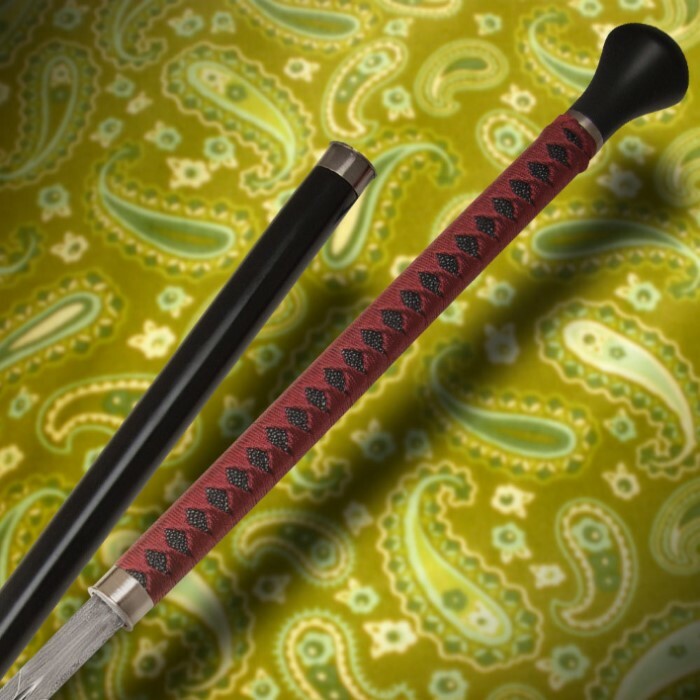 This United Cutlery forged ball sword cane is one truly unique sword cane. The 14 1/4" Damascus steel blade was heat-forged at temperatures of more than 1,000 degrees to yield a razor-sharp, double-edged blade for maximum cutting. The hardwood ball-tip cane handle offers superior support while an exquisite nylon-and-ray-skin wrapped blade handle allows the blade to be wielded in comfort and style. I bought this sword cane one week ago and I love it. The shipping was fast and the sword cane came in perfect condition. They really paid attention to the detail. The damascus blade is amazing. This is my first damascus sword and I'm glad this was the first. The handle is comfortable and the blade is razor sharp. I would definitely recommend this to my friends.